It seems the new trend these days is that every time an upcoming film releases a new trailer it also releases matching movie poster. Lately we’ve been getting all kinds of news and new footage for 20th Century Fox’s upcoming Alien prequel and Prometheus sequel, Alien: Covenant. To go along with the movie’s new introductory video and full length trailer comes this awesome “Hide” teaser movie poster. 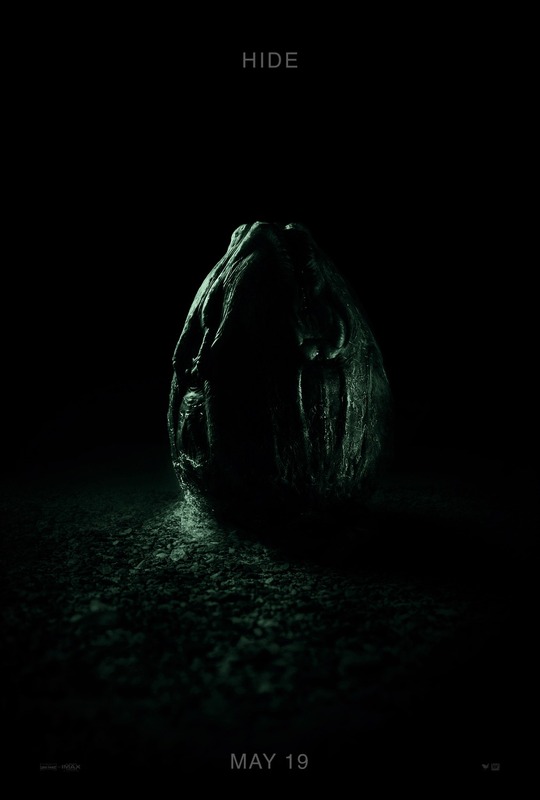 You can always cut the tension surrounding an xenomorph egg with a knife anytime there’s one on screen. It’s even worse when the characters actually know what they are!